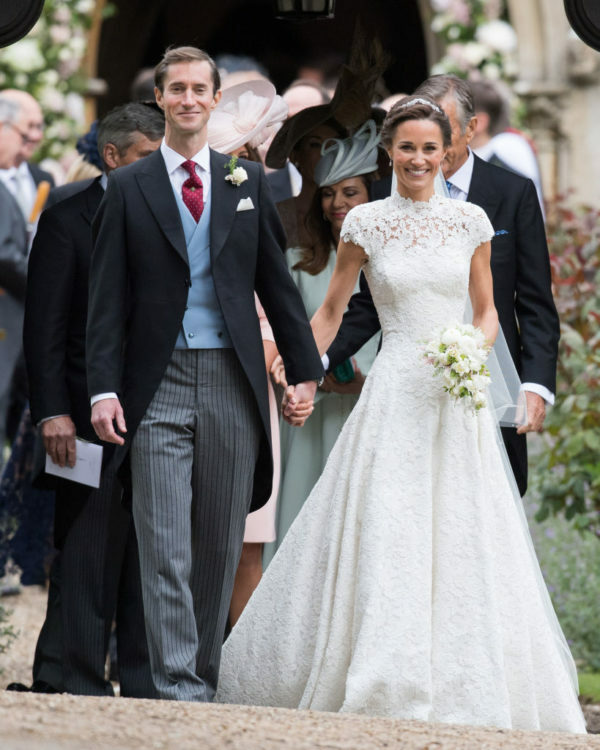 Pippa Middleton, the lovely sister of Duchess Kate, has gotten married! She wed hedge-fund manager James Mathews in a lavish, beautiful ceremony, and the pictures are amazing. The two tied the knot at the St. Mark’s church in the English town of Englefield Green. If we’ve learned anything about Pippa, it’s that this lady knows how to command a white dress. So it (almost) goes without saying: Pippa’s wedding dress was incredible. What else would you expect? The 33-year-old bride was basically a lacy fairy princess. We’re loving her choice of a full ball gown featuring a delicate lace top. The high neck and the way the lace falls is breathtaking, although the best accessory we’ve seen by far is Pippa’s smile. Pippa’s dress seemed as delicate as the pink and white roses surrounding the church. 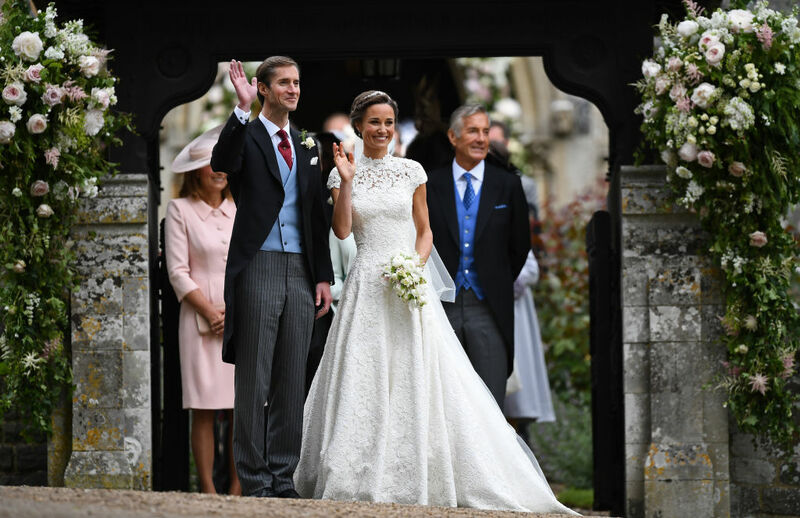 We couldn’t think of a more natural, gorgeous, Pippa Middleton look for her wedding. The gown’s design truly adds to the magic. According to The Guardian, this wedding dress is a Giles Deacon creation designed to look seamless. Pippa topped off her look with a Stephen Jones veil, a Maidenhair Fern tiara, and Manolo Blahnik ivory satin shoes. And yes, we’re fawning over this beautiful shot of the back of Pippa’s dress. You can really see how gorgeous the veil is in this picture, and we’re loving the triangle cut in the back of her dress. We’re a tiny bit overwhelmed by the photos from this momentous occasion. This was a beyond beautiful wedding, and we’re excited for Pippa and James’ even more beautiful future together.